Olivia and Lena were college students when Malala was attacked by the Taliban. Olivia was in Jordan and Lena was in Michigan, but they used Facebook to share their frustrations and outrage over the attack. 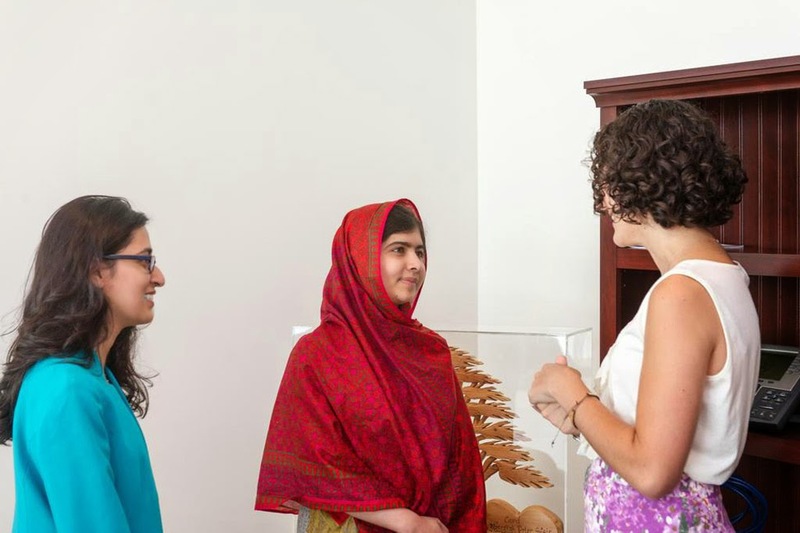 Malala's resilience and perseverance inspired the two girls from the United States to work together and begin the #girlwithabook social media campaign. The girls began by collection photos from family and friends, but it wasn't long before people from all over the world were sharing and sending photos holding books or signs that said "I stand with Malala." The girls have been supported by multiple organizations including the UN, Half the Sky movement, National Women's History Museum, and more. The women are using social media to raise awareness about girls' education. One of the historical movement by a girl against Taliban. She stood all the hurdles and now even she won the Noble prize. Now she is being respected by even more people around the globe. Thanks to Olivia and Lena for the #girlwithabook good work and thanks for sharing the information.